Grown Together: Grown Together is Online. Welcome! 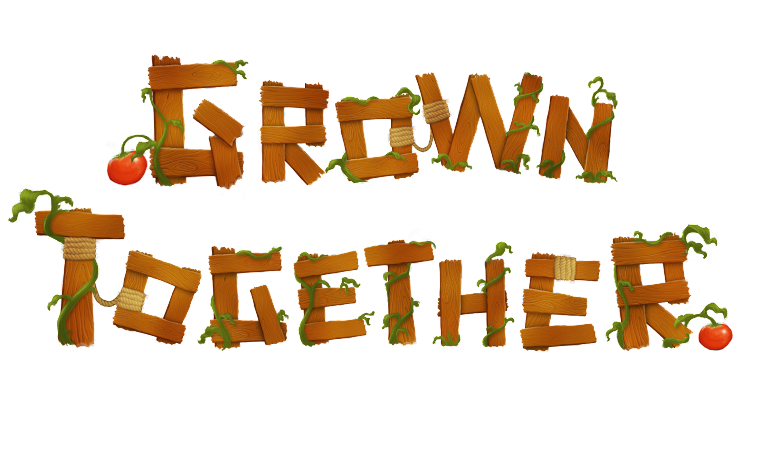 Thank you for checking out our production blog for our upcoming short animated film “Grown Together”. In this blog we intend to share our production experience, progress and materials from our project. We hope you’ll enjoy the process and content published in this blog, and if you did, pass it around, share, tell your friends and let the world know of our presence. So, before we start with the production materials, let us start with the basics. “Grown Together”? what is it all about? 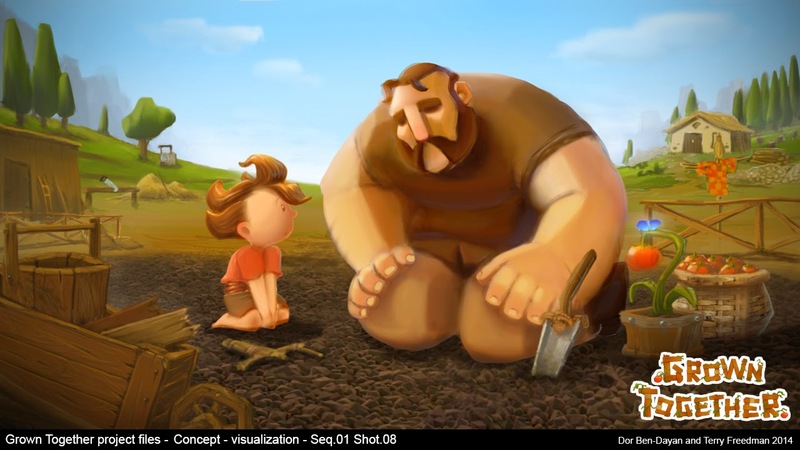 “Grown Together” is a short 3D animation that tells the story of a hard-working farmer and his young playful son. 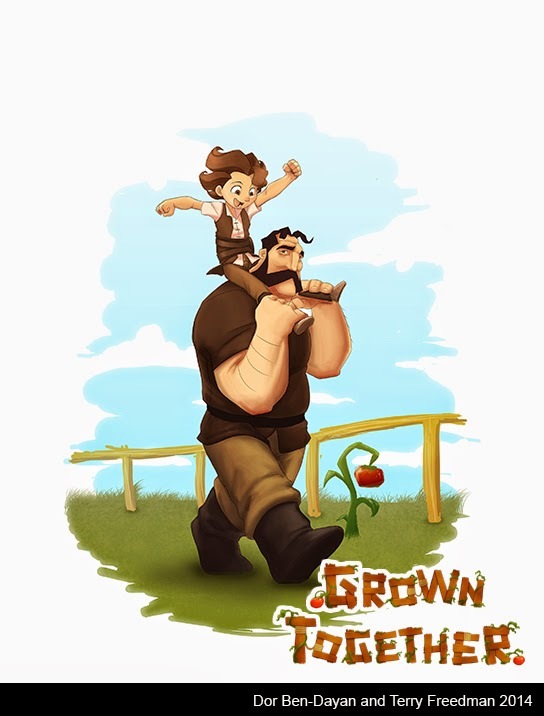 when time comes to teach his son how to work the field, Abe sits his son down and tries to teach him the art of growing tomatoes, continuously pressing that work-time isn't play-time. sadly (and quite frankly, understandably), Ben is much more interested in playing around and letting his imagination loose. unintentionally, he causes damage, ruining everything in the garden his father cares so much about, but a midst the ruins, Abe finds a ray of light, which just might make the farm whole again. We are Dor Ben-Dayan and Terry Freedman. We are graduates of the animation department in Tel-Hai College, Israel, and this project is a summary of all that we have learned during that time and much, much more. When does the fun starts? Whoa! no need to rush, patience is the only way to get big projects done. before we get to our current status, we want to share with you the process we went through so far. 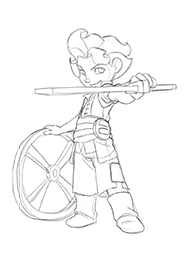 In the next entry we will discuss how we came up with the idea for our project, mention some problems we ran into and how we solved them and reveal some primary designs that helped us get to the story we have today.